Summer is all about a good chair and relaxing on your porch. Simple, but bougie, this dish will keep your evenings light, breezy, and delicious. 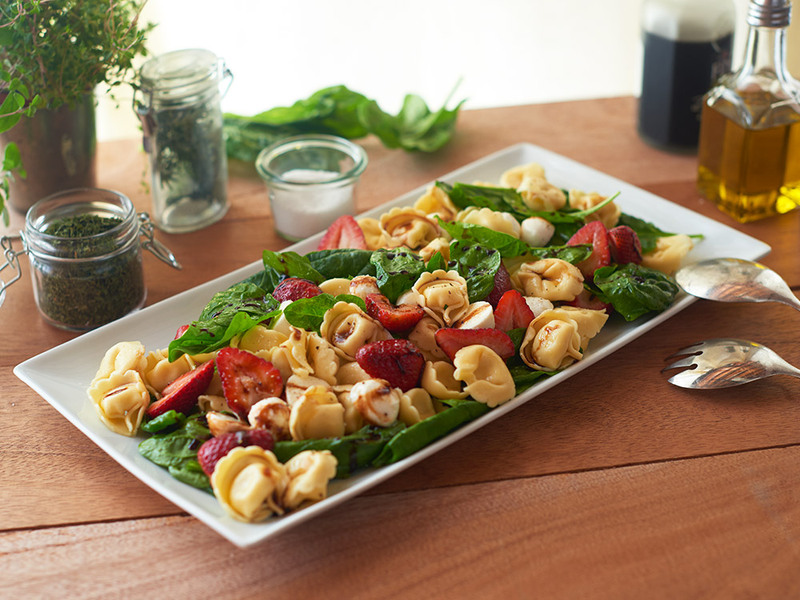 Enjoy this Fresh Strawberry, Spinach and Cheese Tortellini Salad with Bocconcini. Cook tortellini in a large pot according to package instructions. Drain and immediately rinse with cold water. Let tortellini dry, coat with 1/2 of the olive oil. Mix strawberries, mozzarella, and spinach with remaining olive oil and 1/2 of balsamic glaze. Divide tortellini and mix between two plates. Drizzle with remaining balsamic glaze and enjoy!